16th to 18th of November 2018.
that reaches out to all sentient beings. strongly grounded in compassionate love. The heart is a symbol of love and compassion. It is also the seat of our mind and consciousness – the very place that generates wisdom and understanding. Hence, the opening of hearts refers to the development of wisdom and compassion. 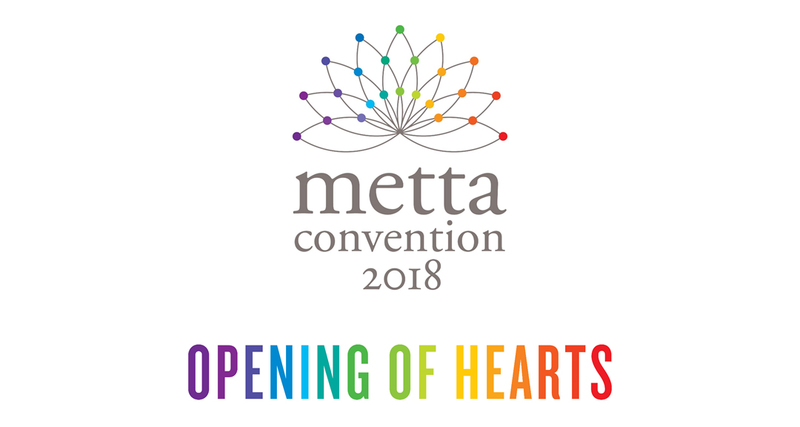 This Metta Convention aims at creating greater awareness of the potentials that lies within our hearts. The opening of hearts aims at building a spiritual network to bring about transformation of human consciousness, beginning with ourselves as individuals, family, groups and communities. Such transformation is so important as we live at a time when changes are taking place at all levels, materially, and spiritually/ World peace, harmony, and stability can no longer be taken for granted. We need to act as individuals, families, and communities. Together, we will make a difference. We need these two qualities to cultivate a true sense of respect and tolerance that are very lacking in our contemporary education system. Aloka Foundation is a non-profit organisation incorporated in 2002 under the Companies Act, 1965 to establish and operate retreat centres and carry out activities to promote educational, humanitarian and spiritual activities for the well-being and happiness of all Malaysians regardless of ethnicity, creed, and belief. It was founded by Venerable Mahinda, a Malaysian Buddhist monk of Chinese Peranakan descent who was ordained in 1976 by the late Venerable K Sri Dhammananda Nayaka Maha Thera, the Chief High Priest of Malaysia and Singapore. Ven Mahinda’s vision for Aloka Foundation was to kindle the light of wisdom in individuals to walk the Noble Path and be of service for the welfare and happiness of the many. 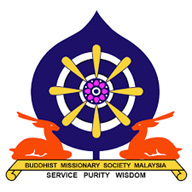 Buddhist Missionary Society Malaysia (BMSM) was founded in 1962 for the propagation of Buddhism. From an initial membership of 27, BMSM now has more than 11,000 members throughout the country. BMSM engages its members in varied programmes that encompasses education, welfare and spiritual development. BMSM has evolved to also become a key organisation in fostering inter religious harmony. It is a founder member of Malaysian Consultative Council of Buddhism, Christianity, Hinduism, Sikhism, and Taoism (MCCBCHST) and is represented in the Interfaith Committee that Promotes Understanding and Harmony through MCCBCHST. ‘Metta in Pali or Maitri in the Sanskrit language means loving-kindness or compassionate love. In practice, it is the wish for all sentient beings to be well and happy. To promote the widespread practice of Metta and to bring like-minded people together through acts of compassionate love.